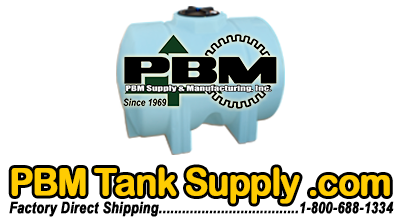 PBM Supply offers a wide variety of specialty tanks to fit every customer's specific needs. 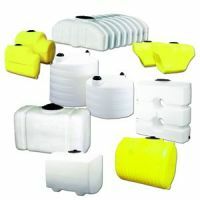 From Freestanding tanks to Utility Flat Bottom and Mini Bulk tanks. PBM strives to satisfy our customers. 26 gallon poly utility flat bottom tank with a 1" poly fitting and a 8" lid. 30 gallon poly pest control operator tank with a 5" lid, without fitting. 45 gallon poly utility flat bottom tank with a 1" poly fitting and a 8" lid. 50 gallon poly utility flat bottom tank with a 1" poly fitting and a 8" lid. 50 gallon poly pest control operator tank with a 8" lid, without fitting. 52 gallon poly utility flat bottom tank with a 1" poly fitting and a 5" lid. 68 gallon poly utility flat bottom tank with a 1" poly fitting and a 5" lid. 100 gallon poly utility flat bottom tank with a 1" poly fitting and a 8" lid.